One of the best ways to experience Banff National Park is to get away from the roads and crowds and go backpacking.  Problem is – which backcountry campgrounds are worth the effort? We’re here to help. There are over 50 backcountry campgrounds in Banff National Park alone, and over 1,600km of hiking trails to get you there. All of these trails and sites can only be accessed under your own power – usually by hiking, but a few are either canoe or bike accessible as well. To see the campgrounds, download the Backcountry Trails in Banff National Park brochure. Of course, the surrounding Rocky Mountain Parks like Yoho, Kootenay and Jasper National Parks contain hundreds more campgrounds, as well as the neighbouring Kananaskis Country. Visiting a backcountry campground is a great way to experience the awe-inspiring scenery that made this backpacking in Banff incredible, and a key part of the Rocky Mountain Parks World Heritage Site. By backpacking in Banff you can appreciate areas rarely seen by most park visitors, away from the crowds of Banff Avenue. Remember, while the hiking season in the Rockies is May – October, though most higher elevation trails will still be snow bound until early July. Below is a sample of some of the best backcountry campgrounds in Banff and the best time of years to visit them. Prime hiking season runs July through mid-September. Until late June, many passes are still snow-bound and may be subject to avalanche hazard. Trails tend to be muddier at this time and the best hiking is at lower elevations or on drier, south facing slopes. By the middle of July, most alpine passes are snow-free. To book a backcountry campsite in Banff, you can book 3-months in advance. We normally call either 403-522-1264 (Lake Louise) or 403-762-1556 (Banff) to book, though you can go in-person at a Banff National Park Visitor Centre, but many campgrounds get booked out so last-minute bookings for a backcountry campsite isn’t recommended. Trailhead Access: Icefields Parkway, 1km past Saskatchewan Crossing Resort on the west side of the highway. A great choice for early season, the low elevation means the area will be snow & ice-free in late spring, and the gentle, rolling trail is good for a “warm up” backpack for your early season fitness! Glacier Lake is a hidden gem of a campground. Perhaps put off by the distance to the trailhead, or the relative “easiness” of the hike in, this campground is a true piece of backcountry paradise. The drive to the trailhead is about 2.5 hours from Banff, but the trail is short enough that you can still complete both in a day. The early section of the hike-in offers some excellent views of the braided Howse River with Mt Murchison providing an imposing backdrop. The rest of the trail is primarily in the trees, with large patches of buffaloberries (take great care in July & August when bears are out looking for them). While Glacier Lake is almost the same elevation as the trailhead, the trail takes you up and over a small rise, a shoulder of the nearby Survey Peak, so you gain & lose approximately 210m along the way. Look out for a survey marker from 1928 carved into a tree near the end of the trail. 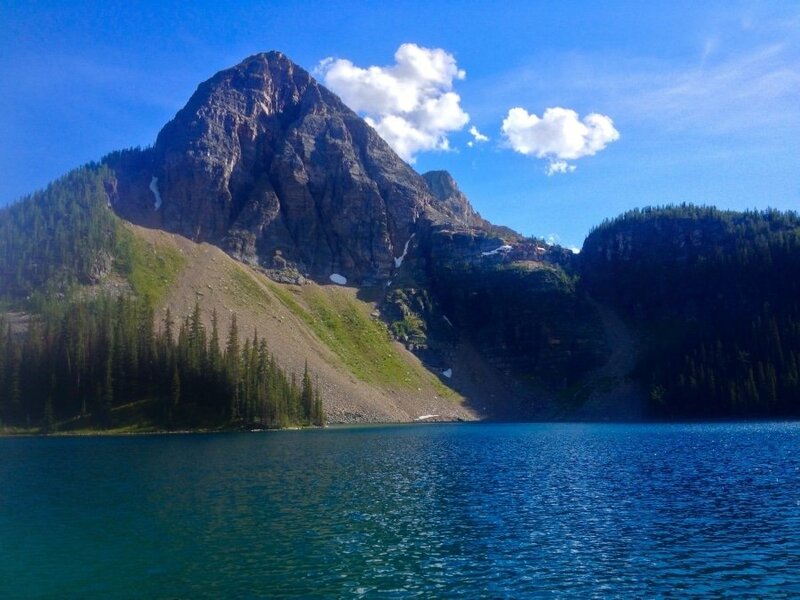 Glacier Lake is the fourth largest lake in Banff National Park, and the 5 tent sites sit close to the lakeshore. This is also one of the few backcountry campsites that allows campfires (in fire rings), however the area surrounding has been picked pretty clean of deadfall, so you may need to bring your own firewood! 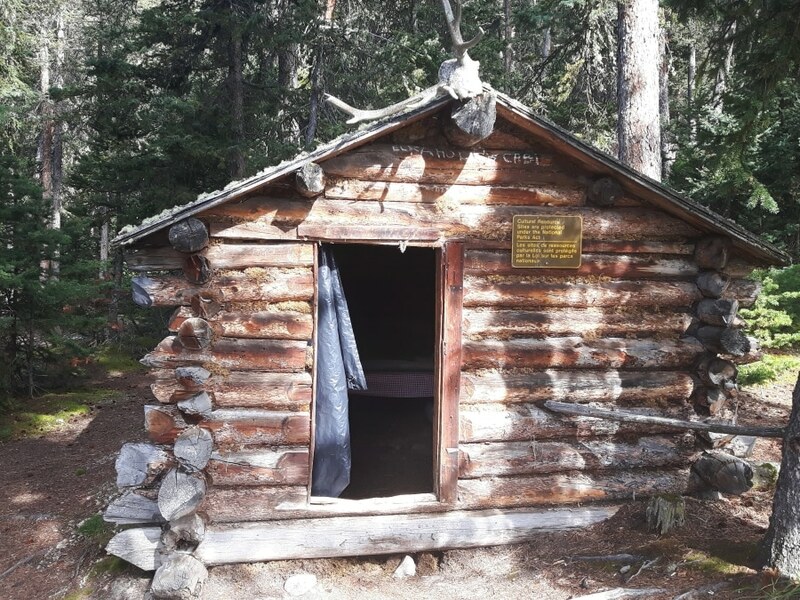 A historic cabin is a great point of interest, and a day hike along the lakeshore towards Lyell Glacier is an option for a longer trip. Trailhead Access: Sunshine Village parking lot – turn on to the Sunshine Access Road 7.7km west of Banff, and follow to the end. Trailhead is the same one for Healy Pass, behind the base lodge. 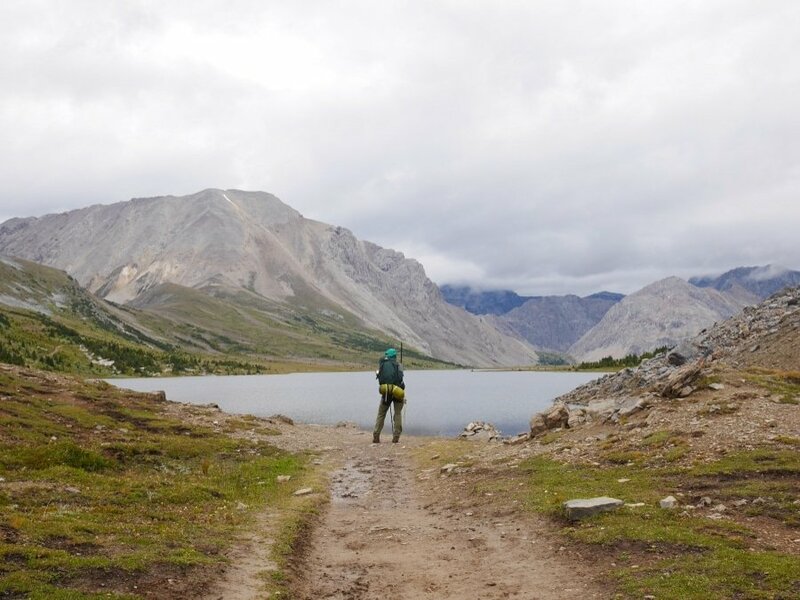 A true classic backcountry camping experience in the Banff National Park, getting to Egypt Lake takes in one of the Rockies best hiking trails over Healy Pass and then down to the stunning Egypt Lake. 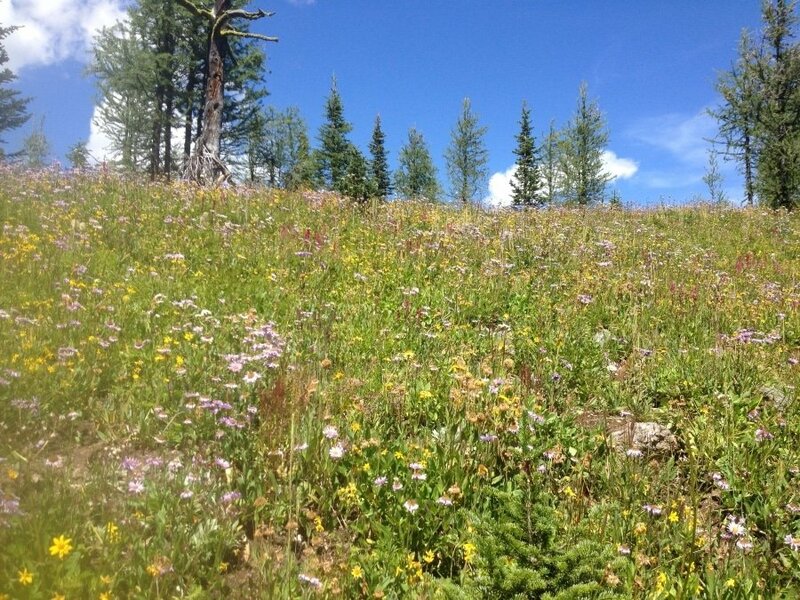 The best time to visit this campground is July – August, when the wildflowers are in full bloom, although September is also be stunning with the fall colours. 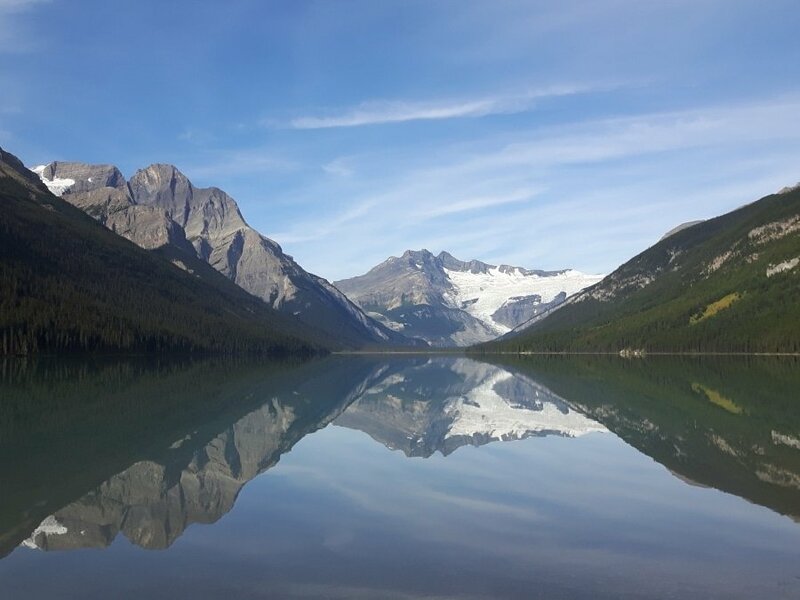 The area surrounding Egypt Lake in Banff’s backcountry offers a multitude of classic Rockies features and sights and is sure to please everyone in your group. The route in follows Healy Creek until you start to ascend to Healy Pass Meadows, one of the best alpine wildflower meadows in the park. Rolling rainbow hills of flowers are watched over by the Monarch Ramparts, a crown-like wall of rock visible from nearby Sunshine Village. The campground itself is situated on a bench above picturesque Pharaoh Creek, and is one of the largest backcountry campgrounds in Banff National Park. From the campground, abundant day hikes and areas to explore surround you. 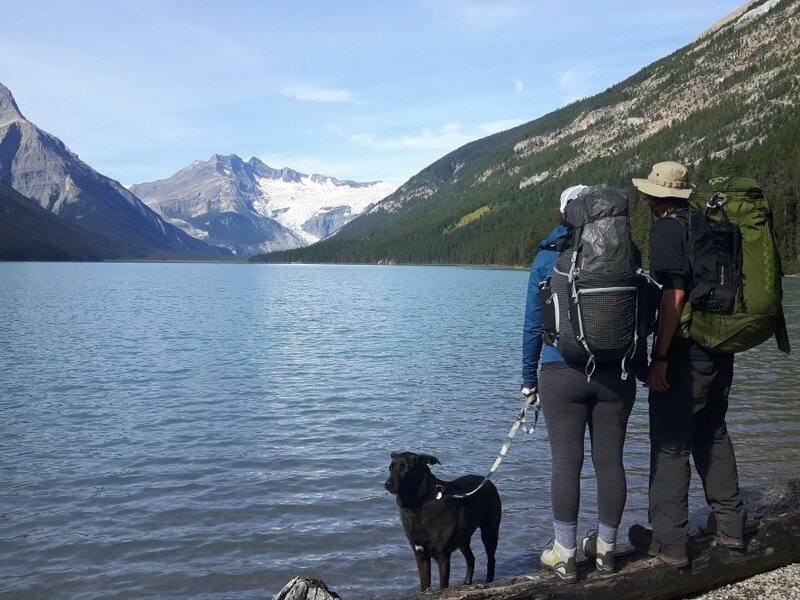 There is the easy 0.5km stroll to Egypt Lake itself, the short but steep uphill climb to Mummy & Scarab Lakes, the high, marmot filled Whistling Pass, the easy 5km Pharaoh Lake-Black Rock Lake outing, or you can even hop the border into BC to Talc Lake. For colder nights, or first timers slightly nervous about sleeping in a tent, the rustic Egypt Lake Shelter provides a sturdy roof & walls, and a cozy fire to tell stories around. This can be booked through Parks Canada’s online reservations system or via phone. If you want to experience this area without hiking 12.4km with your pack, the Healy Creek campsite is located approximately 5km from the trailhead, so you can split the distance over two days. Trailhead access: Lake Minnewanka day use area, approximately 10km from Banff. Distance: 11.1km hike or bike, slightly shorter paddle. The backcountry campsites along Lake Minnewanka are incredible, with a fairly easy walk in and stunning views. There is nothing better, in our opinion, than sharing a glass of wine snuggled on the beach looking out at Lake Minnewanka as dusk falls. The largest lake in Banff National Park, Lake Minnewanka is approximately 28km long. It has 5 backcountry campgrounds along its northern edge, and one on the southern. All are named, but more easily identified by their distance from the trailhead: LM8, LM9, LM11, LM 20, LM22 and LM31. All the backcountry campgrounds on Lake Minnewanka are excellent, scenic campgrounds and allow campfires. LM11/Mt Inglismaldie campground is our favourite. It is the perfect distance – easy enough to get to in a day, far enough away to be away from day hikers. It also has the best beach. 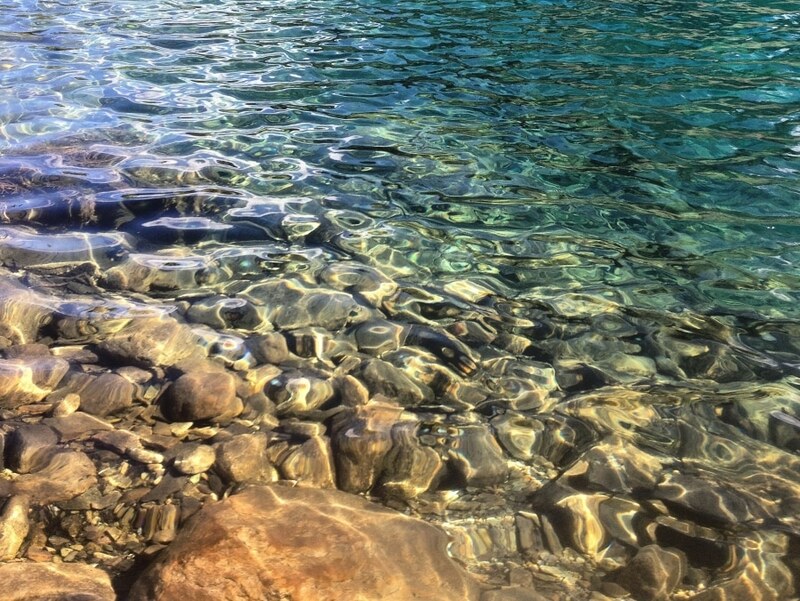 This is a great early season option – you can be sun-tanning on the beach or paddling through aquamarine waters while others are still skiing in May. Lake Minnewanka is the only lake in Banff National Park to allow motorized vessels, so if you have access to a boat, you can bring a lot more gear (and beer) to the campsite with you. Beware of wind if you take a boat, the headwinds can make progress while paddling very slow. 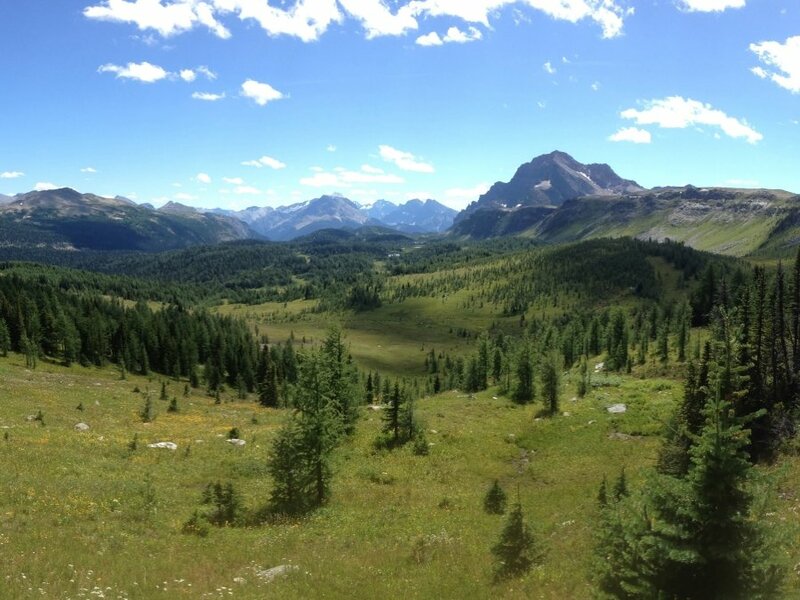 If a longer trip with day hiking options are of more interest to you, LM8 & LM9 are closer to the junction of the Aylmer Pass trail – the pass, lookout or summit scramble are excellent places to explore. Note that deers frequent LM8 and LM9, so there are often more chances to get a tick at these campgrounds. Note that the Minnewanka trails come under an annual travel restriction – no dogs, bikes or groups less than 4 between 10th July & 15th September, and the LM8 campground is closed at this time. Trailhead access: From Lake Louise, drive along Whitehorn Drive towards the ski area. Take the right turn after the 1A, at the sign for Skoki Lodge and park at the Fish Creek trailhead 1km down. A stay at Baker Lake should be a bucket-list trip for anybody considering a backpacking trip in the Canadian Rockies. Beautiful terrain, a slice of history and some epic views. Baker Lake is a high subalpine lake in the Skoki region of the Lake Louise backcountry, popular with fly fishermen. The hike in starts on the Lake Louise ski-out, a tedious 4km uphill to the Temple daylodge and official start to the trail. If you’re on the road at the right time, you may be able to hitch a lift on the Skoki lodge van, heading in to pick up their guests at Temple. From Temple Lodge you climb to Ptarmigan Lake at Boulder Pass, an area with abundant wildlife. Baker Lake lies on the east side of the pass. 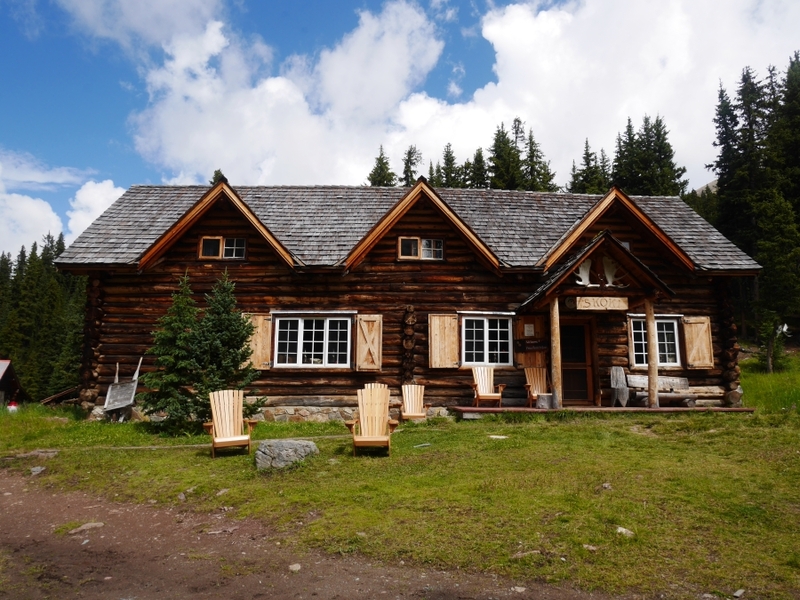 From the campground you can make a big 14.2km loop hike around Fossil Mountain, visiting historic Skoki Lodge (we recommend stopping for afternoon tea for $5). If you’re looking for more of a challenge, consider a scramble up Fossil Mountain itself. 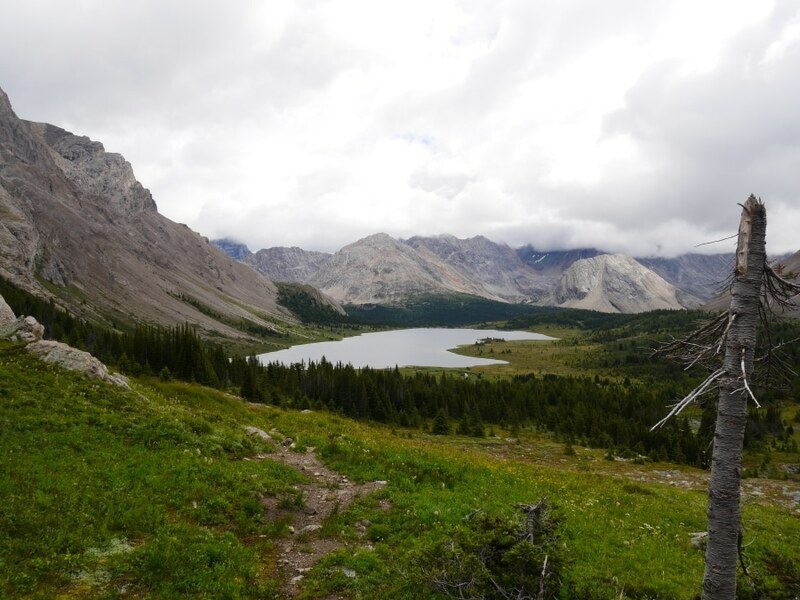 You can also visit the stunning Skoki Lakes (Zigadenus and Myosotis), however you’ll need to do some route finding to make a loop over Packers Pass, down to the Skoki Valley, and back over Deception Pass, approximately a 12km day trip from Baker Lake. For a multi day trip, you can combine this with nights at Red Deer Lakes campground and Merlin Meadows campground for a 40+ kilometer round trip over 3-4 days. This is an epic trip and we highly recommend it! We backpacked in the Skoki area last year. Take bug spray if you're going early in the season, it was very buggy!